This is not Mexico, not Panama, not Costa Rica, this is Nicaragua. I'll be honest, I had ignorant ideas of what Nicaragua would be like. I imagined something like Mexico - similar food, men cat-calling you on the street, drunken tourists at the bars and nightclubs. I couldn't have been more wrong. Nicaragua is a quiet, kind, rural place and what I would consider, still, a hidden gem. Fresh fruits, vegetables, and catch of the day are abundant in San Juan del Sur. My friends & I shopped and cooked at home most nights. We had a gross amount of guacamole, yucca chips, and plantain chips. We cooked rice, beans, and tomato with avocado hot sauce, shrimp, local white fish, and a Flor de Cana local rum drinks on the side (blend up a watermelon & add rum). the surfing buddha cafe :: delicious and local sushi. SIMON SAYS :: smoothies, green cafe. SAUCED AT LIT :: We joked about going here... its name is a dead give-away, but of course one boozy evening we ended up getting sauced at lit, worth it. You can rent boards at any of the beaches. Note, the quality of the boards is not spectacular - you may want to bring your own wax & don't be suprised if your board is waterlogged. If you're a picky shortboarder you may want to bring yours from home. Depending on what you're into, there is anything from romantic boutiques to gigantic vacation rentals with ocean views to small travelers hostels. It's a small & safe town, enjoy your stay. 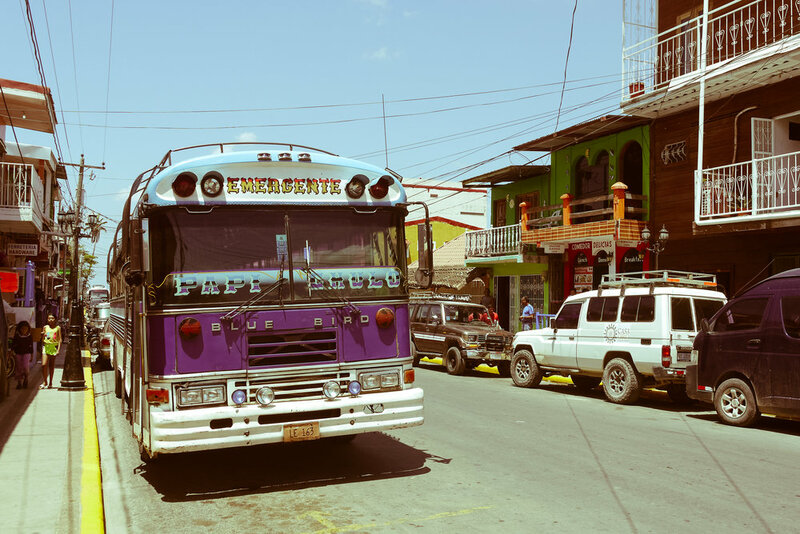 There are several shuttles & taxis around San Juan del Sur. In fact, people are so friendly you could end up having a local drive you somewhere for less than the transit services. don't expect a luxury experience, you'll most likely be riding in the back of a truck down a dusty road. Big Jesus Cristo is overlooking San Juan del Sur, there is a path that'll take you to the top! Worth it, and I suggest going for sunrise or sunset. If you go during open hours, the gate man will charge you $2.00US.